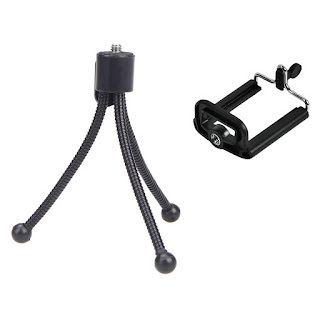 This is a lightweight aluminium tripod with double bended legs for high stability. It has good trans-portability due to low weight and shoulder strap and it has removable rubber base (e.g. protection of indoor floor) . 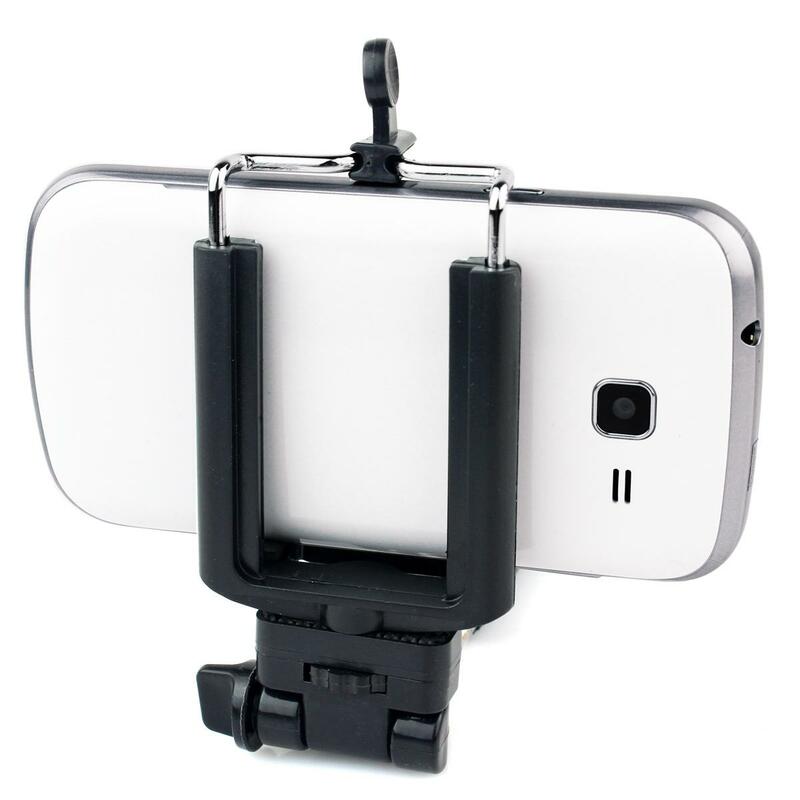 Phone bracket holder included.